This month’s newsletter is full of kid-friendly Aromatherapy recipes! I get a lot of emails from parents and caretakers who are excited about using essential oils to care for their children naturally. I’m always happy to offer my suggestions! I even developed a technique for using essential oils for kids that I call The Aromahead Approach. 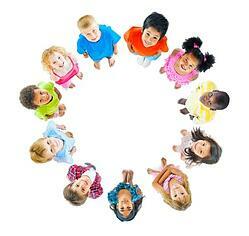 For parents and caretakers, it’s very empowering to know they can care for children naturally. And children love the smell of essential oils (especially familiar scents like Sweet Orange and Lavender). It can be a lot of fun to let them help make the recipes! Just be sure to store your essential oils and products out of kids’ reach. Then have fun blending! 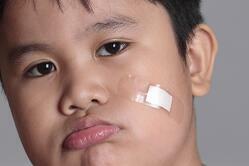 How do kids get sunburned? The same way adults do--by going outside and losing track of time. Sometimes we wind up spending time outside when we didn't plan for it. Either way, sunburn can sneak up on you! This is a sunburn gel you can make in less than a minute, with only two ingredients. Make this blend in a 1 oz (30 ml) glass bottle. Combine the aloe and the Lavender essential oil, shake, and then apply the gel gently to the sunburned area. Use as needed until the paid eases up and the redness fades. This blend is especially soothing if you keep it in the refrigerator. I do recommend making a fresh bottle every few weeks, because there are no preservatives in it. To make this blend for grown ups, simply increase the drops of Lavender to 12. To make this blend for kids under five, you can skip the essential oil and instead try a 1/2 oz (15 ml) of aloe vera gel and 1/2 oz (15 ml) of Lavender hydrosol in a glass spray bottle. Shake well and spray! 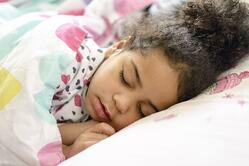 On The Aromahead Blog: Make an Aromatherapy "First Aid Kit" for Kids! 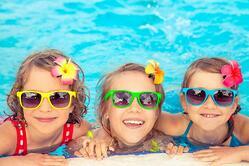 Kids love summertime! For many of them, summer is the peak season for playing outside. A tiny downside of running around and having so much fun is that they can wind up with more bites, bruises, scrapes and stings than at other times of the year. So I want to share some recipes you can use to make your own “Aromatherapy First Aid Kit” for kids. 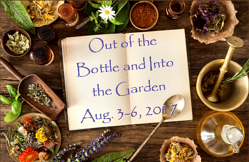 The Alliance of International Aromatherapists (AIA), is hosting its annual Aromatherapy Conference & Expo in August. Are you registered for the conference? If not, visit AIA’s website to learn more and register today. But hurry . . . the conference is right around the corner! AIA’s conferences are widely attended by people in the Aromatherapy and natural health professions from around the world. The conferences are well-known, respected, and exciting! Attending is a great way to get ideas for your own work, and make connections you need to advance to the next level of your career. Aromatics International now has organic cotton wicks for their Aromatherapy inhalers (and kids love using their very own inhaler)! This is an exciting development. The team at Aromatics International searched for organic cotton wicks for a long time, and many of us have been waiting (with our fingers crossed for luck!) for them to find the right supplier. They finally have! The cotton wick is the part of the inhaler that absorbs essential oils. 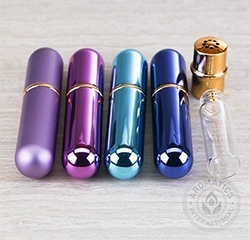 The wick is inserted into a plastic sleeve, the cap gets snapped into place, and then you have “essential oils on the go” to inhale whenever you need their support. Inhalers are about the size of a lip balm tube, so they fit right in your pocket. They’re a very convenient way to use Aromatherapy wherever you are. The wicks can be used with plastic disposable inhalers, or with the beautiful reusable inhalers. Check them out here! Tea Tree is perhaps the most famous antimicrobial essential oil, and with good reason! One of the active components in Tea Tree is called “terpinen-4-ol.” Terpinen-4-ol activates monocytes (a kind of white blood cell) in the body. In response to inflammation, monocytes go to the site of an infection and boost cellular performance for a greater immune response. Tea Tree essential oil is also good at reducing germs in the environment, making it an excellent addition to natural cleaning blends. Plus, it’s kid friendly! The blends in this Essential Oil Spotlight will give you some great ideas for using Tea Tree in your life! Memes are some of the most fun and memorable images that are shared around the internet! A meme (pronounced “meem”) is simply an image with a phrase or sentence written on it in big, easy-to-read letters. Memes are not only fun to share with friends, they can be useful for your social media business accounts. There is an app that can help you make your own memes, quickly and easily. It’s called “Mematic,” and it allows you to write a catchy phrase over a picture—either one of the pictures they have in their database, or a picture you have taken yourself. You can create your meme with the Mematic app, then directly share it with your Facebook, Twitter, or other social media accounts. 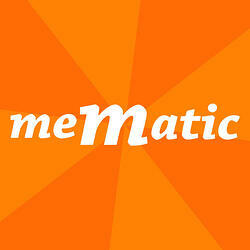 It’s easy to use and a whole lot of fun, so I invite you to check it out and see if it would be a useful app for you! Using inhalers with essential oils can be a great way for kids (from five to twelve years old) to calm themselves down. When kids get anxious or can’t sleep, using their inhaler is something they can do themselves that they don’t have to ask permission for, so it’s very empowering. It’s also fun to let kids pick the color of their inhaler, so it’s even more their own! I hope the remaining half of July is beautiful for you, full of laughter, doing things you love, and using your favorite essential oils!